Were you all bothered with Ghosts & Ghouls last night? I locked my door & put out the lights & watched a movie! Actully, I was ready but no one came to the door! The kids on our street are all grown up now! There are two brilliant sponsors this month! 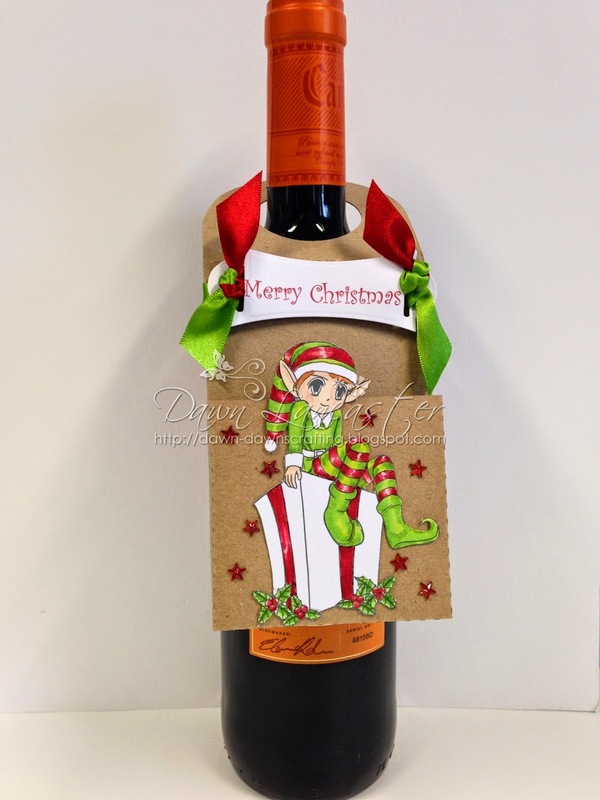 A little wine bottle topper with a pocket on the front. I did intend to put something in there but hey ho, or ho ho ho lol! 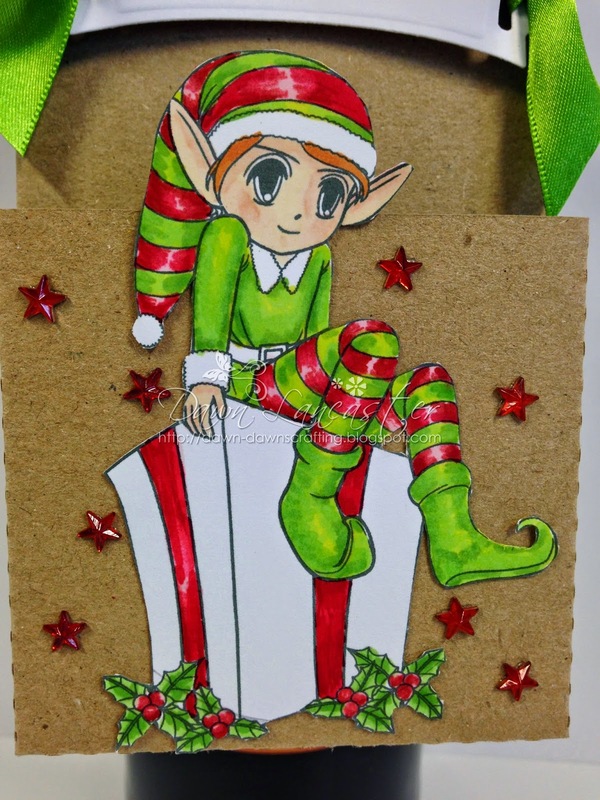 The image I have used is Christmas Elf, I love this little guy! fussy cut him & added him to the little wine bottle topper. I added a few little self adhesive gem stars too! Closer look at the little cutie! View from the side to let you see the pocket! two colors of ribbon which were knotted at each end. other than a card for a change! I must apologise for not having a Delicious Doodles project yet but life got in the way! It will be blogged soon so watch this space! This is brilliant Dawn, I love the gorgeous cute image and fabulous colours too. Good morning Dawn, what a beautiful wine bottle topper. Love the image and your colour choice. Love the little pocket. A great project. 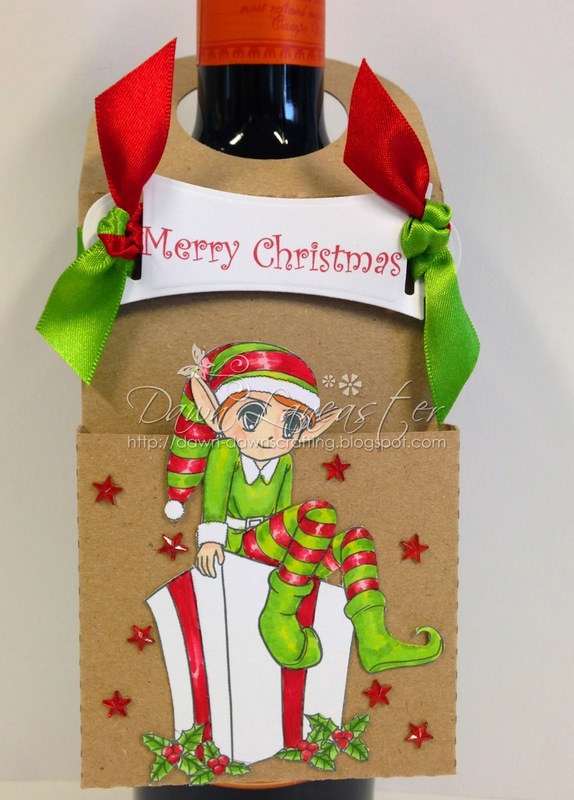 Great idea, love this & sometimes it's so nice to make anything but a card! 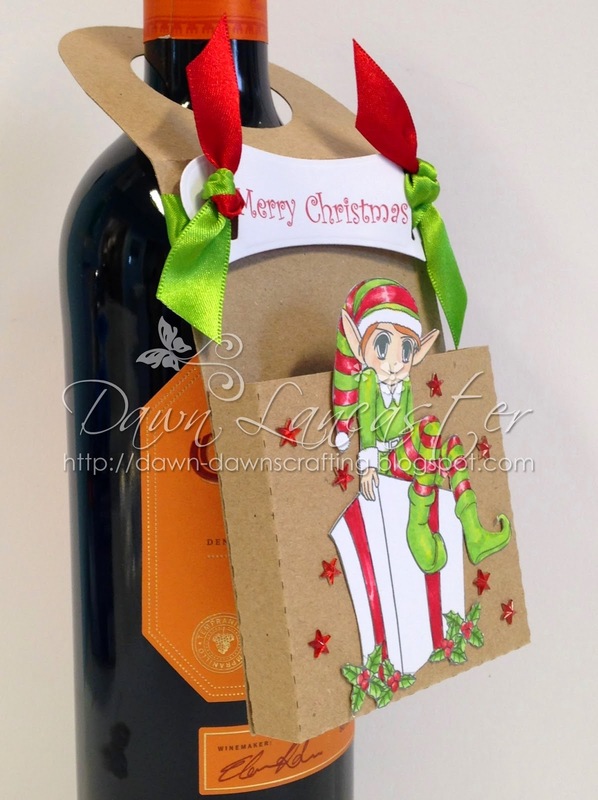 A fabulous bottle topper Dawn, I love your fun Christmas elf. Your street sounds like ours - not one single knock on the door last night, I'll just have to eat all the sweets myself! Oh, Dawn, this is too precious for words! Love your coloring and the fussy cutting is magnificent. This is fabulous! Love Mi Ran's image and you've coloured it beautifully. If there's any wine going free I have an empty glass. Lol. Wonderful Dawn, and a super image. great to put on a Chrissy pressie. That image is adorable and such a clever way to use it! Great idea to add to a gift too!